Georgia, popularly known as the “Empire State of the South”, was the fourth state, which was admitted in US union. The state is highly populated and is a part of the original Confederate States of the US. Named after the King George II, the Georgia state has experienced several wars and disputes over the ownership of the Peach State. The economy of the State is a mixed assessment of the various agricultural and production industries that have established in the state. Georgia features the unique milestone of being the home to more than 26 top Fortune Companies. The list includes various high profile names such as Aflac, Coca Cola, UPS and Home Depot. What is the role of the Georgia State Boards of Nursing? Georgia State is one of the four states, which have more than one Board of Nursing working to standardize the performance of nursing programs in the state. 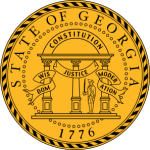 Georgia state boards of Nursing are the regulatory and administrative councils, which oversee the regulation of nursing laws in the state. GBELPN is the administrative body that is responsible for regulation of nursing laws regarding the LPN professionals in the Georgia State. The Board is responsible for maintaining the service record of the LPNs working in the state and reviews the LPN training programs in the State also. GBERN is the board of nursing for the RN and Advanced medical practitioners in the state. The Board maintains a record of professional working in the state. It also looks over the abuse record and maintaining the standards for public health stature in the state. There are more than 140 general hospitals in Georgia State and is a hub of numerous professionals including CNA, LPN, CMA, RN and ARPN in the state. It is the responsibility of the two nursing boards of Georgia to ensure the standards of medical services and training in the state. How is Healthcare industry playing in Georgia? How are the Boards responsible for the development of the industry? There are more than 1400 nursing and healthcare related businesses running in the Georgia State. They health care industry comprises of a large proportion of the whole employment options in the state. Nearly 45,000 people have established their career in some nursing field in the state. The Boards play a vital role in the development of the health care industry. The certification licensing of the professional is the responsibility of the boards of nursing. They are responsible for assuring the quality of service and training programs in the state. The job openings are expected to grow further more in coming decade.